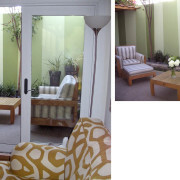 This 400 Sq.Ft. 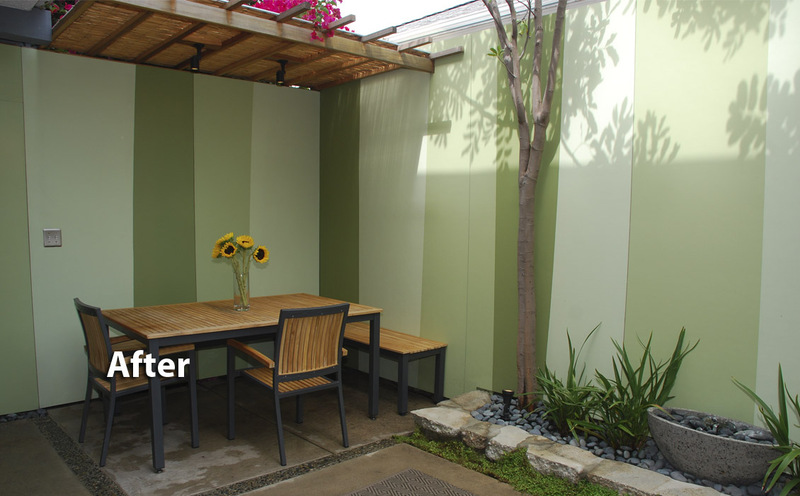 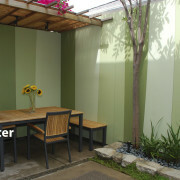 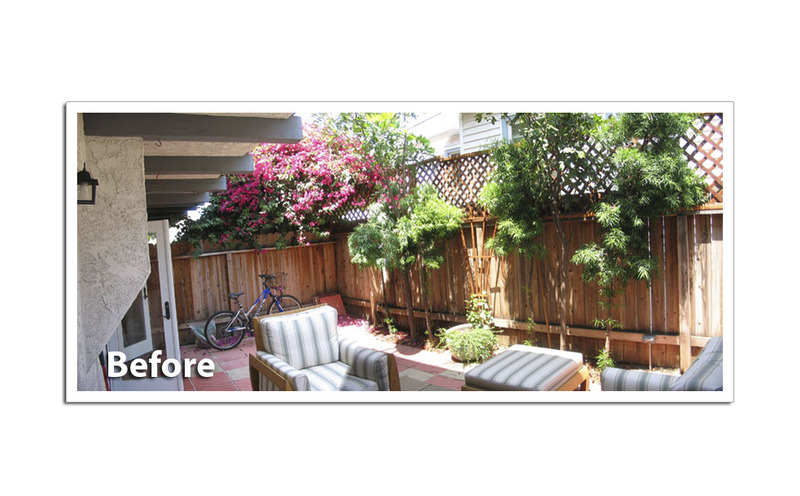 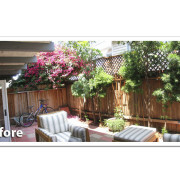 courtyard in Santa Monica includes the redesign of an existing problem prone patio originally built with improper drainage and drab aesthetics. 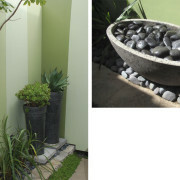 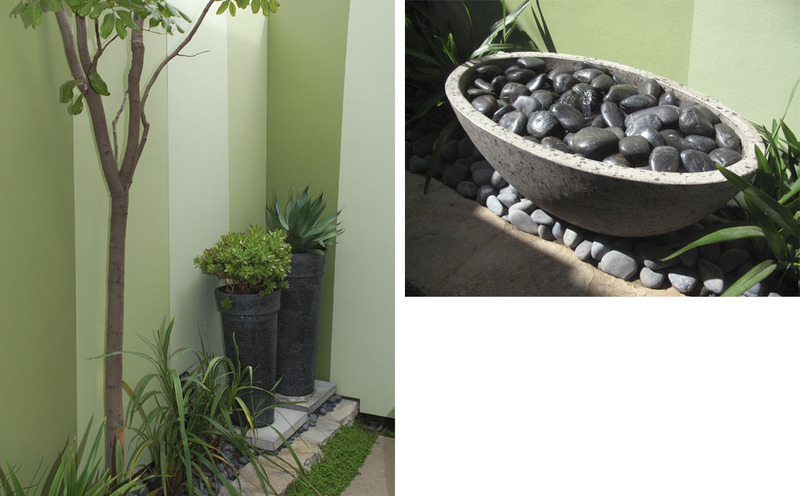 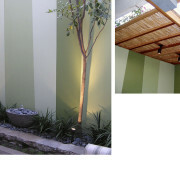 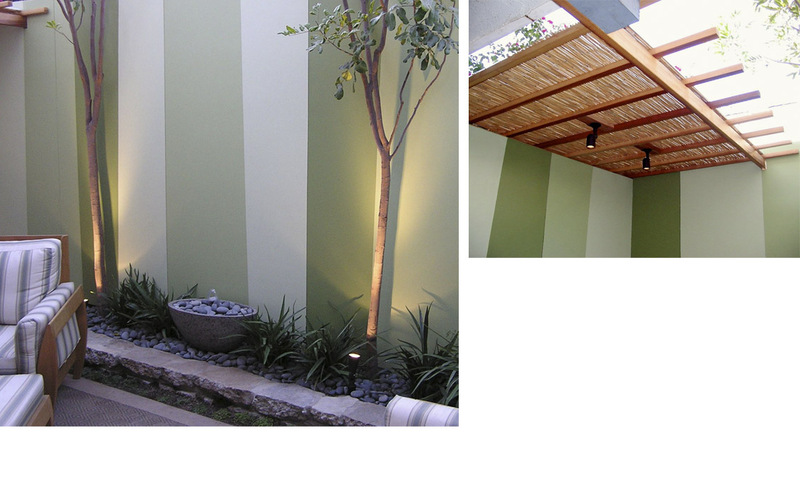 The installation consisted of re-grading and re-surfacing the yard, adding all new planting, irrigation, lighting, custom designed redwood and bamboo trellis and for an invigorating indoor/outdoor feel, building three eight foot high perimeter walls painted to give the allusion, although abstract, of a dazzling forest of bamboo. 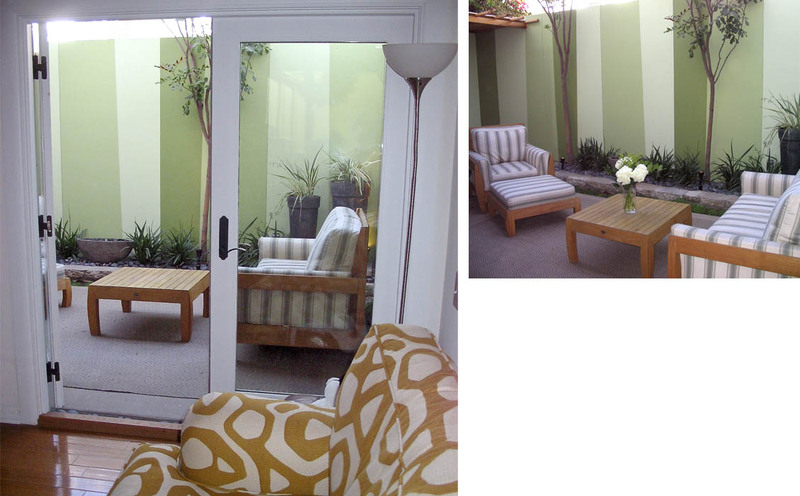 This project was also installed by DwellArc.